Consisting of over 200 cellar doors and featuring many of the best drops in Aus, the South Australian wine trail is a must-do for every wine lover. Best of all, everything is in driving distance from Adelaide, meaning that arranging airport transfers, organizing transport and booking suitable Adelaide accommodation is exceptionally easy. The following is a guide to five of the best areas on the South Australian wine trail, with tips on which cellar doors and wineries you must visit. The Barossa Valley is where Aussie wines were born and is home to some of the oldest vines in the country (160 years!). Located approximately 70kms from the heart of Adelaide, it’s a beautiful area, full of history and architecture from the original German settlers. Best known for its big, bold shiraz, Barossa is home to some of the most famous names in the Aussie wine industry, including Wolf Blass, Jacobs Creek, Yalumba and of course, Penfolds. The nearby Eden Valley is also part of the Barossa region and is a quaint spot known for its award-winning riesling production. Not only is the Barossa known for its top drops, it’s also a haven for foodies. It is home to a range of wonderful restaurants and some amazing cheese companies. Check out the Barossa Valley Cheese Company for a complete food and wine experience. McLaren Vale is a red wine lover’s paradise. With over 70 cellar doors, it is best known for its deep, dark shiraz, flavoursome cabernet sauvignon and prizewinning grenache. Some of the must-sees include Chapel Hill Winery, Geoff Merrill Wines, Rosemount Estate and Zimmerman Wines. The boutique Chalk Hill is also a must-visit with a proud history of wine-making dating back six generations. If you have a more organic preference, check out the Battle of Bosworth and Spring Seed Wines. Finish your trip with a follow-up beer at the Vale Ale Brewery. Coonawarra cabernet sauvignon is a staple of the Australian wine industry. The biggest wine area on the Limestone Coast, its terra rossa soil is credited for the region’s success. Although it sits 375kms from Adelaide, it’s worth the jaunt. Out of its 24 cellar doors, some of the best include Bowen Estate, Brand’s Laira Coonawarra, Wynns Coonawarra Estate and Redman Wines. Another highlight is the Coonawarra Wine Gallery, where you can various range of local wines and treat yourself to cheese platters and coffee. Located approximately 120kms from Adelaide, Clare Valley is home to some of the best in Aussie riesling. Another of Australia’s oldest wine regions, it’s full of attractions and activities including restaurants, art galleries and events, making it a hot-spot for tourists. The area is generally made up of boutique producers. Some of the best names on the riesling trail are some of the most renowned producers in all of Australia, including Jim Barry Wines, Tim Adams Wines, Edredge Wines, Taylors Wines and Annies Lane. Sitting 20 minutes from Adelaide, the gorgeous scenic views offered by Adelaide Hills makes for a lovely afternoon excursion in the crisp midwinter weather. 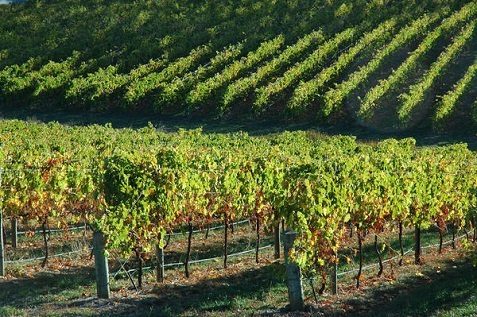 Being a cool climate region, Adelaide Hills produces chardonnay, pinot noir, sauvignon blanc and riesling. The region’s style is elegant and premium, which has led to its national and international success. With over 40 cellar doors, Adelaide Hills offers something for everyone, regardless of palate and preference. K1 by Geoff Hardy is a must-see, as are Bird in Hand, Leabrook Estate and Mt Lofty Ranges Vineyard. Adelaide Hills is also known for its fabulous food, wine and music events. Look online before you go to see if anything coincides with your trip. About the Author: Dale McKenzie is a passionate wine drinker, wine writer and occasional wine judge. His dream is to retire on a seven-acre vineyard block in the Margaret River.